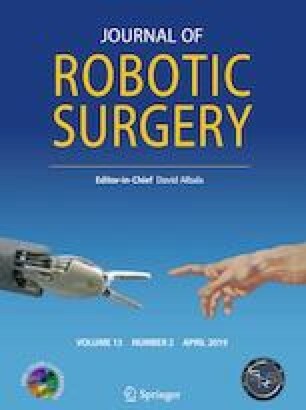 We present our preliminary experience comparing robotic near-infrared fluorescence (NIRF) imaging using indocyanine green (ICG) to 2D laparoscopic white light (WL) and 3D robotic WL illumination, in their ability to visually detect endometriosis lesions during a robotic endometriosis resection procedure in a single center. A total of twenty women were screened and seven of them with symptomatic endometriosis were included in this prospective case series. The mean patient age was 33 years with the mean body mass index being 28.6 kg/m2. The NIRF-ICG imaging technique enabled visualization of a statistically significant higher number of lesions compared to that of robotic and laparoscopic WL (13.4 vs 7.4 vs 4.7, p = 0.012). In addition, we explored the extent of quality of life (QoL) measures of these women affected by endometriosis using the validated QoL RAND Short Form Health Survey questionnaire and Numeric Pain Rating Scale. The largest reduction of quality of life was measured for the domains of social functioning (3.28 SD, 95% CI 45.7–61.5, p = 0.0001), physical limitations (3.04 SD, 95% CI 15.1–44.3, p = 0.0002), and physical functioning (3.02 SD, 95% CI 48.7–64.1, p = 0.0002), respectively. There was a significant reduction in the postoperative mean pain score as indicated by the pain rating of 0.57 ± 0.78 (p = 0.0005). We also performed a literature search to review other cases that describe the potential benefits of robotic NIRF-ICG imaging in the visual detection of peritoneal and deep endometriosis. Our study results demonstrate that the ICG fluorescence system may potentially be useful for more complete intraoperative endometriosis lesion detection and excision. Large multicenter trials with larger sample sizes and across surgeons of differing experience levels are needed to investigate the clinical utility, reproducibility and long-term outcomes of the use of this technology for patients with debilitating endometriosis. Jayapriya Jayakumaran, Zoran Pavlovic, Daniele Fuhrich, Cynthia Buffington, and Aileen Caceres declare that they have no conflict of interest.